The U.S. Justice Department recently has been dealt heavy blows in its quest to recover millions in allegedly fraudulent Medicare Advantage payments to UnitedHealth Group. But the federal courts have laid out a road map, albeit a demanding one, for how the federal government could win future cases. The federal government on Friday ditched most of its False Claims Act lawsuit over Minnetonka, Minn.-based UnitedHealth Group's Medicare Advantage billing practices. That setback came just a few months after UnitedHealth defeated the Justice Department in a similar lawsuit accusing the nation's largest insurer and affiliated health plans of exaggerating how sick its patients were to score millions of dollars in inflated Medicare Advantage payments. UnitedHealth has vigorously denied those accusations. In a brief notice to a federal court in Los Angeles, the Justice Department said it wouldn't update its lawsuit to revive claims over UnitedHealth's statements about the accuracy of its Medicare Advantage billing data. Instead, the federal government will only litigate whether the data used to secure more than $1 billion in Medicare Advantage payments was invalid. 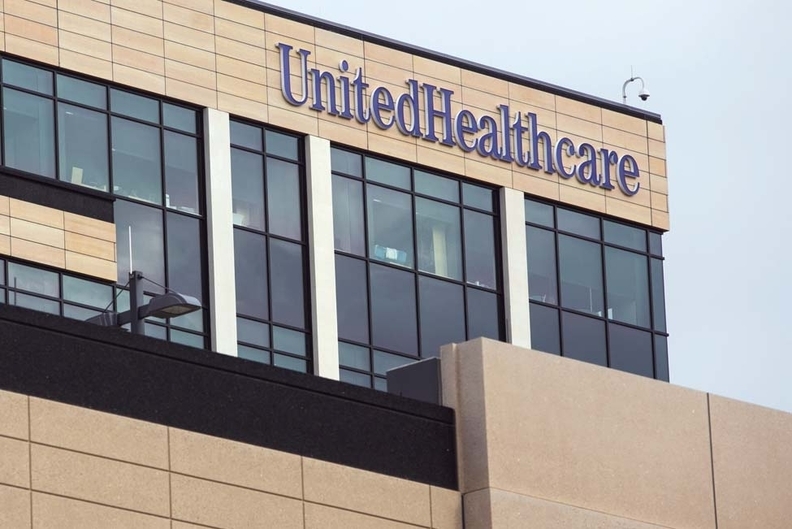 U.S. District Judge Michael Fitzgerald had thrown out some of the lawsuit's claims in February, determining that the Justice Department did not prove that statements UnitedHealth made about the data's accuracy would have affected whether the government paid the Medicare Advantage claims or not. That was a standard set by the U.S. Supreme Court in 2016 when it limited False Claims Act liability. Law experts say that's a demanding test. The Justice Department, which is investigating the medical upcoding practices of several other large health insurers, will have to find another way to win back the potentially billions in allegedly fraudulent payments from Medicare Advantage insurers. "Fighting alleged fraud in Medicare Advantage context has been hard for the government. It's a complex system and it's harder to draw a straight line between alleged falsehood or inaccuracy and the decision of Medicare to pay," said William Horton, partner at the law firm Jones Walker. It's unclear if the Justice Department's latest setbacks will deter it from pursuing similar cases against other Advantage insurers, he said. At the same time, the court has now laid out a roadmap for what it would expect to see in a future complaint, Horton said. The Justice Department's partial loss also could limit the amount of damages it can claim in False Claims Act cases, according to Ben Waldin, an associate at law firm Eimer Stahl. In previous cases, the Justice Department has tried to recoup all payments made by the government on the basis of an insurer's false assurance of compliance with regulations. But now, "the judge here essentially adopted a view of the case law saying the DOJ is limited to going after just those claims that were false, rather than all claims made under the attestation," Waldin explained. Waldin said the government has the option to appeal the dismissal of some of the claims. It's likely, he said, that in the future the government will avoid pursuing cases against Medicare Advantage insurers on the basis of their statements about the accuracy of their billing data. "I wouldn't be too surprised if the DOJ tries to move the case law away from this," he said. The Justice Department has opened several investigations into the upcoding practices in the Medicare Advantage program. UnitedHealth, Aetna, Health Net, Humana and Cigna's Bravo Health are all under federal scrutiny for potential upcoding issues. Payment rates in Medicare Advantage are based on regional trends and utilization in traditional fee-for-service Medicare as well as adjustments to plan members' risk scores. The government pays private health plans monthly amounts for every member they cover, and those taxpayer-funded payments are adjusted based on how sick someone is. Members with more chronic conditions have higher risk scores, and plans that cover them receive higher payments. Risk scores were created to incentivize plans to cover all seniors regardless of their health status, but there have been several whistle-blower lawsuits in recent years that allege health plans have been inflating the scores to collect more funds. The UnitedHealth whistle-blower lawsuit at issue, which the feds joined in February 2017 but was initially brought in 2011, alleged that the insurer inflated its plan members' risk scores since at least 2005 in order to boost payments under Medicare Advantage's risk-adjustment program. The lawsuit claimed UnitedHealth collected payments from false claims that it treated patients for conditions they didn't have, for more severe conditions than they had, conditions that had already been treated, or diagnoses that didn't meet the requirements for risk adjustment.